The UN Charter gives the Security Council primary responsibility for the maintenance of international peace and security. In fulfilling this responsibility, the Council can establish a UN peace operation. UN peace operations are deployed on the basis of mandates from the United Nations Security Council. Their tasks differ from situation to situation, depending on the nature of the conflict and the specific challenges it presents. The Charter of the United Nations is the foundation document for all the UN work. The UN was established to “save succeeding generations from the scourge of war” and one of its main purposes is to maintain international peace and security. Peacekeeping, although not explicitly provided for in the Charter, has evolved into one of the main tools used by the United Nations to achieve this purpose. The Charter gives the UN Security Council primary responsibility for the maintenance of international peace and security. In fulfilling this responsibility, the Council may adopt a range of measures, including the establishment of a UN peace operation. Chapter VI deals with the “Pacific Settlement of Disputes”. 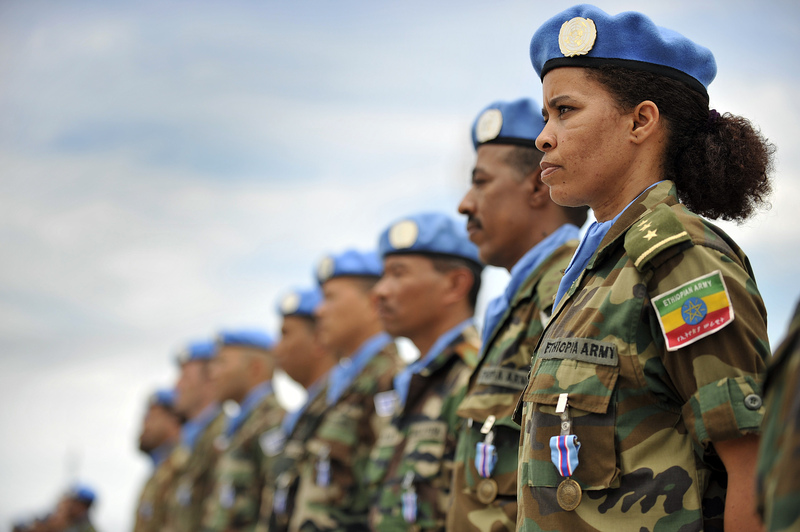 UN peace operations have traditionally been associated with Chapter. However, the Security Council need not refer to a specific Chapter of the Charter when passing a resolution authorizing the deployment of a UN peacekeeping operation and has never invoked Chapter VI. Chapter VII contains provisions related to “Action with Respect to the Peace, Breaches of the Peace and Acts of Aggression’. In recent years, the Council has adopted the practice of invoking Chapter VII of the Charter when authorizing the deployment of UN peace operations into volatile post-conflict settings where the State is unable to maintain security and public order. The Security Council’s invocation of Chapter VII in these situations, in addition to denoting the legal basis for its action, can also be seen as a statement of firm political resolve and a means of reminding the parties to a conflict and the wider UN membership of their obligation to give effect to Security Council decisions. Chapter VIII of the Charter provides for the involvement of regional arrangements and agencies in the maintenance of international peace and security provided such activities are consistent with the purposes and principles outlined in Chapter I of the Charter. UN peace operations are deployed on the basis of mandates from the United Nations Security Council. Over the years, the range of tasks assigned to UN peace operations has expanded significantly in response to shifting patterns of conflict and to best address threats to international peace and security. Security Council resolution 1674 (2006) on the protection of civilians in armed conflict. For more specific information on the types of mandated tasks and the characteristics of the “traditional” and “multidimensional” operations please refer to the UN Peacekeeping Operations: Principles and Guidelines - “Capstone Doctrine”, Part I, Chapter 2 (2.3 and 2.4).